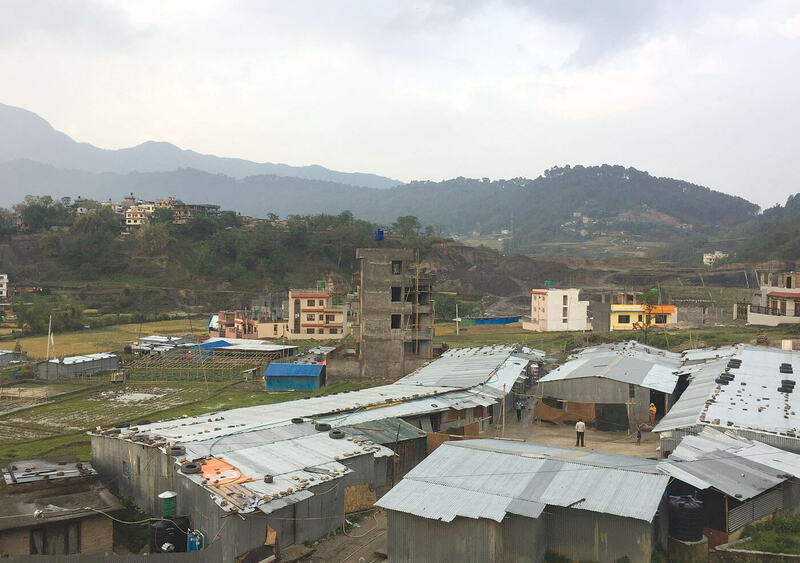 It’s just a little before 7PM, and there is excitement in the Rohingya camp, a settlement of about 30 tin sheds at Kapan on the northern outskirts of Kathmandu. There is sound of cooking, and an enticing aroma of spicy curry wafts from Jafar Alam’s kitchen separated from his bedroom by a partition. “Just one minute left,” says a child breathlessly, bringing the message from the makeshift mosque in one corner of the camp. 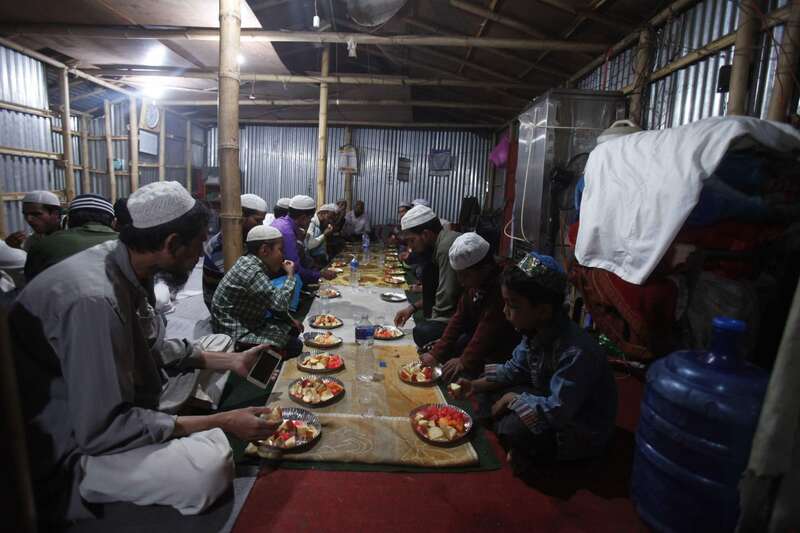 It is the Muslim holy month of Ramadan, and the 169 Rohingyas in this camp, one of four refugee neighborhoods, are eager to break their fast. After an entire day without even a drop of water, Alam, his wife and three children dig into plates of chickpeas and rice. Like hundreds of thousands of Rohingya who have fled Rakhine state in eastern Burma to Bangladesh and India and southeast Asia, Alam has horrific tales of persecution in Burma. There are said to be only 318 Rohingyas in Nepal with ID cards, but there may be many more who are undocumented. “First they told us not to use loudspeakers to call people to azaan (prayers). Then they didn’t let us sacrifice animals for our festivals. Then they drove us out of our homes,” says Abu Takir, 26, who was in the first wave of Rohingyas to come to Nepal in 2012. Takir and Alam have friends and relatives scattered all over the subcontinent: some in squalid camps in Bangladesh, some jailed for alleged human trafficking in India. 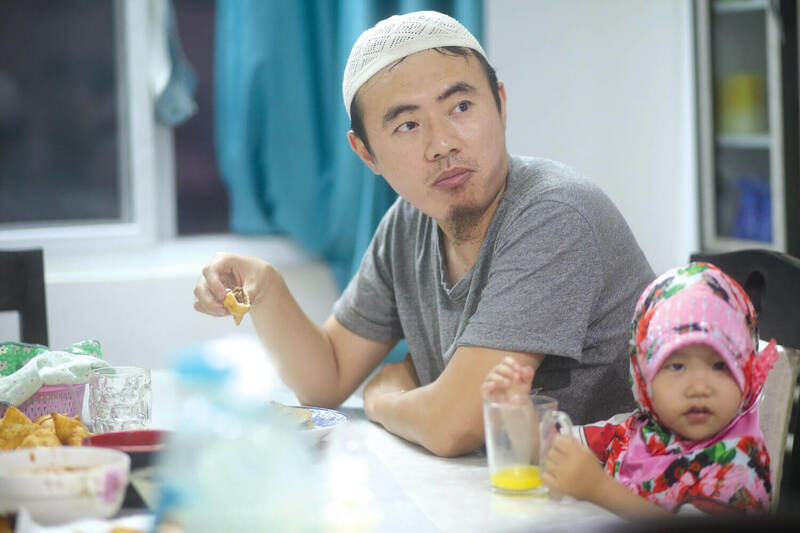 They are relieved they do not face that kind of persecution here, though their life is full of daily struggle because they do not have work permits. Paying the rent on their living space is their biggest struggle at the moment. 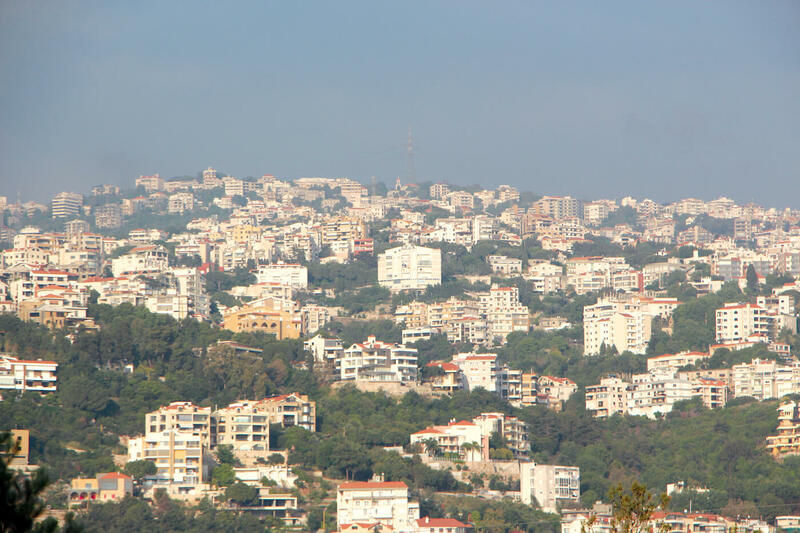 Alam does not feel like going to the improvised mosque here, and says the community cannot afford a big evening feast for everyone. 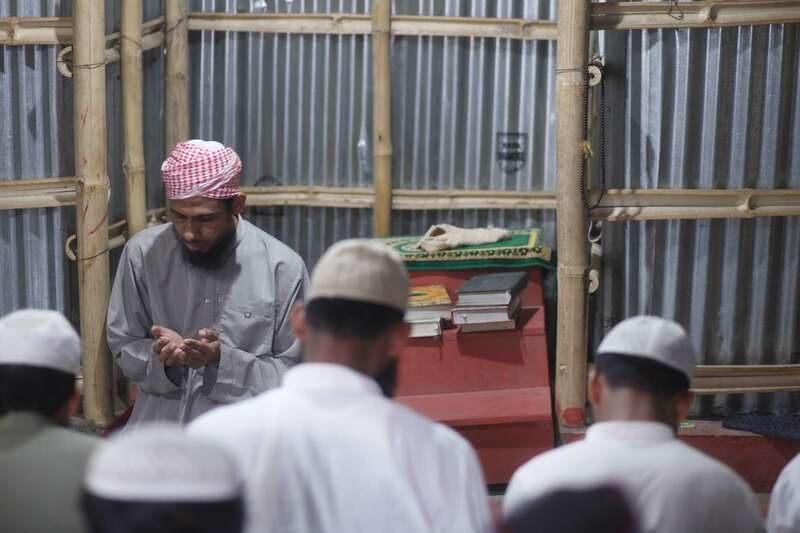 In a small tin shed which was designated a mosque, some men still gather to break their fast with fruit, and pray as the sun sets. Jame Masjid in Bagbazar has helped by sending a teacher who guides the rituals and offers spiritual support. 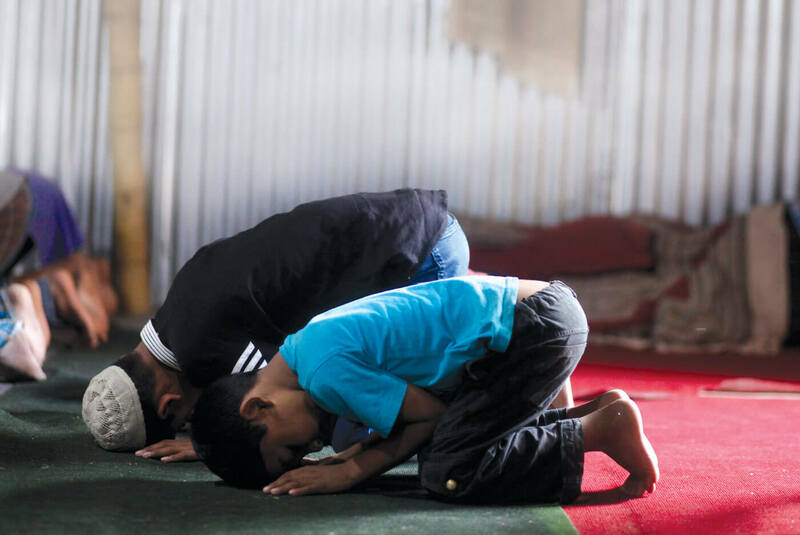 Though they finally feel safe as Muslims, they have no wish to stay in Nepal longer than they have to. But they have no long term plans to seek asylum or citizenship anywhere. His only worry at the moment is that the children will be stateless. Rohingya children have blended right in, speaking fluent Nepali which they learn in school. Noor Kalima Begum, 11, is in Grade 4 and her best friends are Nepali classmates.